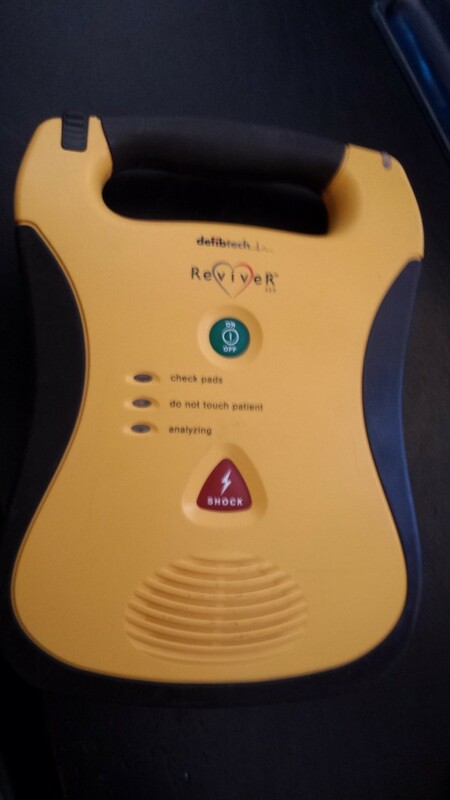 Defibtech Defibrillator Lifeline AED. Battery and defibrillator pads replaced. Tested and fully working. Battery life is for 5 years and has a quick use card, just under 2kg in weight.